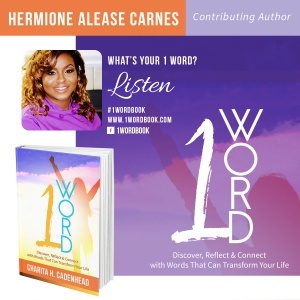 CLICK HERE TO ORDER YOUR AUTOGRAPHED COPY OF 1 Word: Discover, Reflect & Connect With Words That Will Transform Your Life featuring co-author Hermione Alease Carnes. All orders from this page will be personally autographed by me, Hermione Alease Carnes. 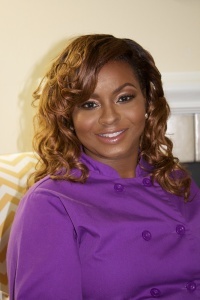 ABOUT THE AUTHOR: Hermione Alease Carnes is chef (chief hospitality engineer for fabulous events) and owner of Elijah’s House of Food Services, LLC, DBA Alease’s Edibles. She began her catering service in 2001 in Fairfield, Alabama. She has worked as a chef instructor, personal chef, pastry and baking service contractor, and pop-up restaurateur. She obtained a bachelor’s of science in accounting from the University of Alabama at Birmingham and an associate of arts from Culinard at Virginia College. Hermione believes that all of her gifts, including training and writing, have enabled her to touch lives that she never would have encountered.